Brock's Gap IDPA matches are held on the second Saturday of every month except the month when the Masters IDPA Championship takes the place of the monthly match. The match usually consists of 6 stages, so bring at least 120 rounds. Shooters should be present for signup and squad assignments no later than 9:00 a.m. New shooters should be registered, geared up, and ready for a new-shooter orientation at 9:30. Mandatory safety briefing at 10:00 a.m. Shooting starts immediately thereafter. Shooters arriving at or after 10:00 a.m. will not be allowed to participate. Match fee is $10.00. New shooters (first IDPA match) shoot for free. 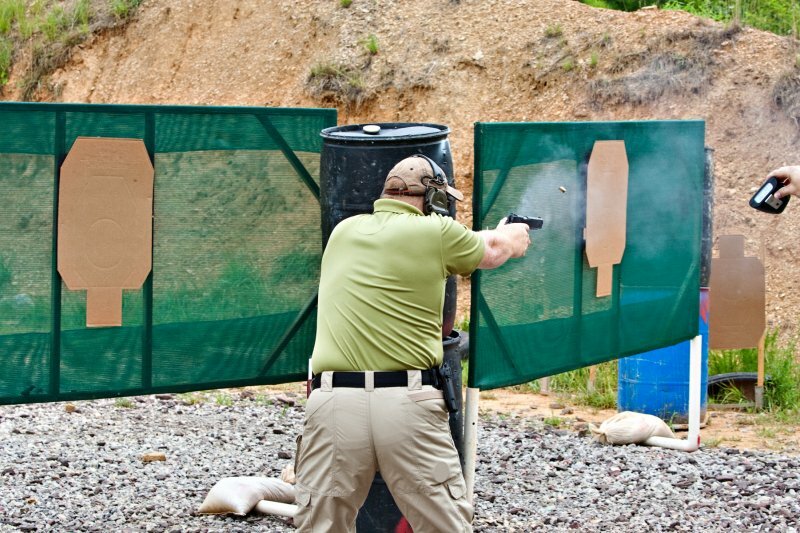 You do not have to be a member of Brock's Gap Training Center or IDPA to participate in our matches, but membership in IDPA is highly recommended. See the "New Shooter FAQ" section of this site for information useful to new shooters.